It’s the amenities that make the stay at our Pigeon Forge hotel! Start your days off right when you stay with us and enjoy a complimentary breakfast. This can save you both time and money in the mornings. You won’t have to stress over rushing to make it to a busy pancake house, or have the big bill of eating out either. Our rooms have other amenities to love that are affordable! Many of our rooms have extras like private balconies, fireplaces, and in-suite jacuzzis that won’t break the bank to have. You’ll also have access to free WiFi. With that perk you won’t have to go anywhere else if you need to research what there is to do in the area or purchase online tickets. 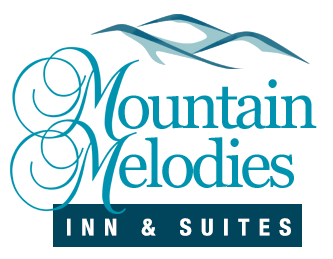 We have a convenient location near the most popular destinations in the Smokies! Within a half hours drive is Gatlinburg. Here you can spend the day shopping and dining and visiting attractions like Ripley’s Aquarium of the Smokies. Or you can explore the Great Smoky Mountain National Park that’s full of beautiful mountain views and native wildlife. Under a fifteen minute drive are popular places like The Island, Dollywood, and the Old Mill. If you want to go out for dinner that evening, you can easily walk to the Apple Barn and Outback Steakhouse in less than five minutes. Our great location can save you the time and gas money to get to the coolest places in town! Search for coupons before you come on vacation. Some attractions and shows offer group discounts. If you come with friends or a larger family, you can split room costs. Our Pigeon Forge hotel can be everything you need for an affordable vacation to the Smokies! Take a look at our rooms today to start planning your vacation!